BM Plan and Design are specialists in Commercial architectural services in Glasgow and Central Scotland. Our qualified staff have secured planning, warrant consents and licenses for a number of prestigious clients, from high street retail outlets to large brewing consortiums. Whether you're looking to obtain a building warrant, planning permission, or consent to display advertisement, BM Plan and Design's tailored service makes for an effortless navigation of seemingly abstruse commercial red-tape. With extremely competitive rates and unparalleled technical expertise, BM Plan and Design offers a comprehensive service that will allow you to easily undertake any commercial venture with the minimum of fuss. When a company undertake a commercial project, planning or building warrant applications can be a major part of the process. BM Plan and Design work with commercial clients from small business owners to large corporate clients. 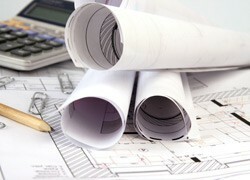 BM Plan and Design look after all commercial planning permission and building warrant matters. Whether you are a business looking to expand one office or a major business complex BM Plan Design can carry out all necessary surveys on your behalf and assist with space planning, licensing plans or fire layouts. Call BM Plan and Design for a no obligation free of charge discussion.